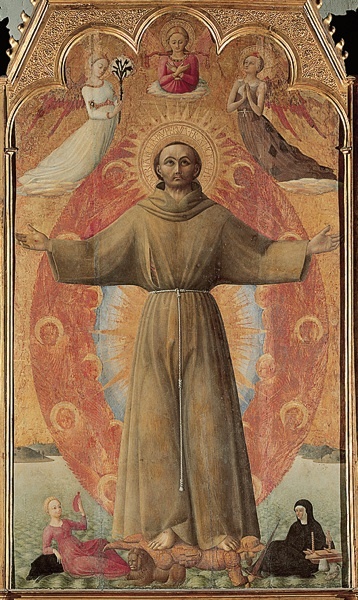 Sassetta,The Ectasy of Saint Francis, 1437-44, Villa I Tatti, Settignano. From Blessed and Beautiful, by Robert Kiely. What Is Mental Illness? by Richard J. McNally, professor of psychology (Harvard, $27.95). “Madness, it seems, is rampant in America,” the author notes--but what does that mean? As an adviser on phobia and posttraumatic stress disorder for the American Psychiatric Association’s Diagnostic and Statistical Manual of Mental Disorders–IV, he is in position to offer a lucid meditation on the sources, definition, and impact of mental illness. Blessed and Beautiful, by Robert Kiely, professor of English emeritus (Yale, $40). Why is a critic of modernist fiction suddenly immersing himself in the subject of “Picturing the Saints” (the subtitle)--as they were so repeatedly depicted in Renaissance painting? No matter: his time at Villa I Tatti was well spent, and the result is lushly gorgeous. A Historian Looks Back, by Judith V. Grabiner, Ph.D. ’66 (Mathematical Association of America, $62.95). Of course historians look back--but here, to “The Calculus as Algebra and Selected Writings.” The author, Pitzer professor of mathematics at Pitzer College, is a prizewinner in her field. Through all the inevitable formulas, she aims “to reclaim the context of mathematics from the hardware store with the rest of the tools and bring it back to the university”--and to the history of Western thought. Seeing Patients: Unconscious Bias in Health Care, by Augustus A. White III and David Chanoff (Harvard, $27.95). The lead author, Gordon Distinguished Professor of medical education, an orthopedic surgeon, and the first African- American department chief at a Harvard teaching hospital, grew up in Jim Crow Memphis. He speaks directly and personally about disparities in care. God-Fearing and Free, by Jason W. Stevens, assistant professor of English (Harvard, $39.95). A scholarly “spiritual history” of the Cold War, employing motifs such as original sin to interpret the democratic struggle with internal self-doubt and external, totalitarian threats. Outrageous Fortunes, by Daniel Altman ’96, Ph.D. ’00 (Times Books, $25). The economics columnist and consultant peeks ahead at 12 global trends and suggests, inter alia, that a hierarchical China “will get richer, and then it will get poorer again,” and that the European Union is, as an economic entity, toast. Moneymakers, by Ben Tarnoff ’07 (Penguin, $27.95). The title is literal: Tarnoff vividly recounts “The Wicked Lives and Surprising Adventures of Three Notorious Counterfeiters” in early America, before financial fraud assumed its modern, credit-default-swap mantle. Wisconsin’s Own, by M. Caren Connolly, M.L.A. ’82, and Louis Wasserman, M.Arch. ’74 (Wisconsin Historical Society Press, $45). A remarkable coffee-table celebration of 20 Wisconsin homes, built between 1854 and 1939, ranging from a fabulous lakeside Queen Anne painted lady to Frank Lloyd Wright’s Wingspread. The authors run an architectural practice based in Milwaukee. Hidden Mark: Exploring Christianity’s Heretical Gospel, by John Killinger, B.D. ’59 (Mercer University Press, $18). A well-traveled, much-published minister and academic theologian offers a Gnostic interpretation. Alone Together, by Sherry Turkle ’69, Ph.D. ’76 (Basic, $28.95). As its subtitle suggests (“Why We Expect More from Technology and Less from Each Other”), this third volume in a trilogy (after The Second Self and Life on the Screen), a couple of decades into the computer revolution, finds the author still a professor at MIT, but more skeptical about what personal technology is doing to persons and their real-world relationships with one another.